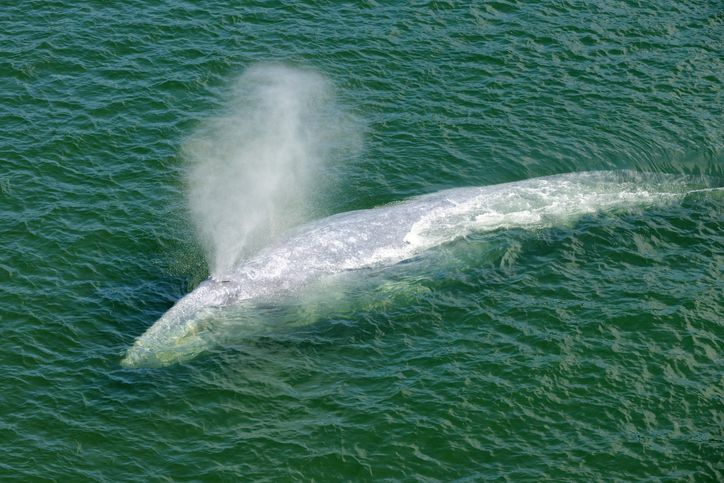 Drones have an interesting new purpose: collecting whale snot. Scientists know that whales are currently in danger due to overfishing, trash, and noise pollution. However, it is difficult to collect information from whales about these dangers without disturbing them. Thus, scientists and robotics companies have worked together to create a drone capable of collecting the mucus-like substance whales exhale out their blowholes, these drones have been aptly named SnotBots. The mucus or ‘whale snot’ can be used to help scientists learn about how pollution is affecting the mammals. SnotBots hover just above whales as they surface for air, then they lower petri dishes to capture the whale’s snot spray, collecting DNA, microbiome information, and hormone levels. Before these drones were available scientists would attempt to position a long pole over the blowhole, a difficult and tedious process, or collect snot from dead whales. These drones are particularly useful because they can analyze whale health in real time, allowing scientists to determine if a whale is sick before it descends into the ocean depths. This entry was posted in Drones and tagged Drone Use.